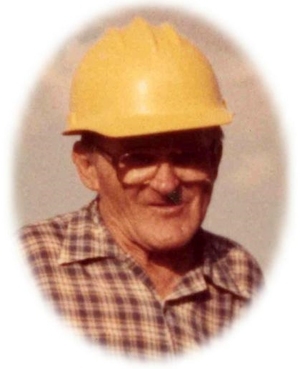 Obituary – Edwards, William F. “Bill” « Perry High School Alumni Association, Inc.
– son of Mr. and Mrs. Harry R. Edward, was born in Perry, September 15, 1917. He has attended Perry Public schools and he has three years perfect attendance. He played baseball in Junior High. He expects to go to school next year. Bill Edwards, 90, of Orlando, Oklahoma passed away, Friday, August 1, 2008 in Enterprise, Alabama. Funeral services will be held at 11:00 a.m., Tuesday, August 5, 2008 at the United Methodist Church in Orlando, Oklahoma with Rev. Adrian Pollard officiating. Interment will follow in Morris Heights Cemetery. Services are under the direction of Brown-Dugger Funeral Home in Perry, Oklahoma. Memorials may be made to the Alzheimer’s Association or the Potter’s Community Church in care of Brown-Dugger Funeral Home, 1010 N. 7th Street, Perry, Oklahoma 73077. Surviving are two sons and daughters-in-law, Mike and Cassandra Edwards, Ft. Gibson, Oklahoma, Rollie and Ruth Edwards, Enterprise, Alabama; five grandchildren, Josh Bridges, Norman, Oklahoma, Carrie Edwards, Enterprise, Alabama, Vernon and Joel Colvin, Ft. Smith, Arkansas, Levi Colvin, Ft. Gibson, Oklahoma. Mr. Edwards was preceded in death by his wife, Lois Carroll Edwards and a daughter, Constance Bridges.